Posted on May 26, 2017 by Matthew Leib. This entry was posted in Spotlight, Staff Stories, Whole U Program Information and tagged Entrepreneurship, staff story. Bookmark the permalink. When a veteran leaves a branch of the armed forces, it is often seen as a time to get on with the business of living. But for military veterans, the transition to civilian life is not always easy. That’s where Thomas Kuljam comes in. 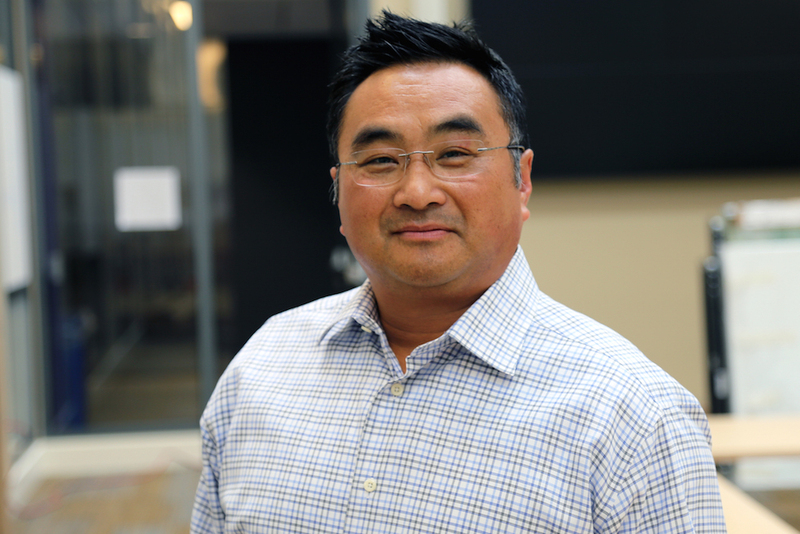 As director of UW Tacoma’s Veterans Incubator for Better Entrepreneurship (VIBE), Kuljam helps veterans in the Puget Sound region realize the potential of the skills they learned in the military to make the business of civilian life just that: business. “What we do is help veterans transition—making sure they’re trained from a business standpoint so that they can take their military skills and deploy them anywhere in the civilian world,” he says. A vision of late UW Tacoma Chancellor Debra Friedman, VIBE was founded in 2013 and today shares space on the third floor of Tioga Library Building with The Veteran and Military Resource Center. Together, they form a complementary partnership in which VIBE’s role is providing veterans from across the Puget Sound region a supportive university setting to learn about the underpinnings of entrepreneurship as well as the mentorship and resources to help turn their ideas into viable businesses. Kuljam likens a veteran’s experience at VIBE to something like an inverted basic training: instead of a process by which “they break you down and build you back up again,” he says VIBE seeks to take the resiliency and resourcefulness veterans already possess and channel them into new ventures. Where veterans once conformed around the same mission as part of the Armed Forces, they can now forge unique paths of their own making, but do so on familiar terms. “We change it to community stability operations,” Kuljam says, adding that now, instead of finding the village elder that is the center of influence, Stevens is trained to identify those decision-makers at the local level. In that capacity, he often will accompany Kuljam on meetings as VIBE continues to establish a framework for operations through its own points of contact throughout the South Sound. 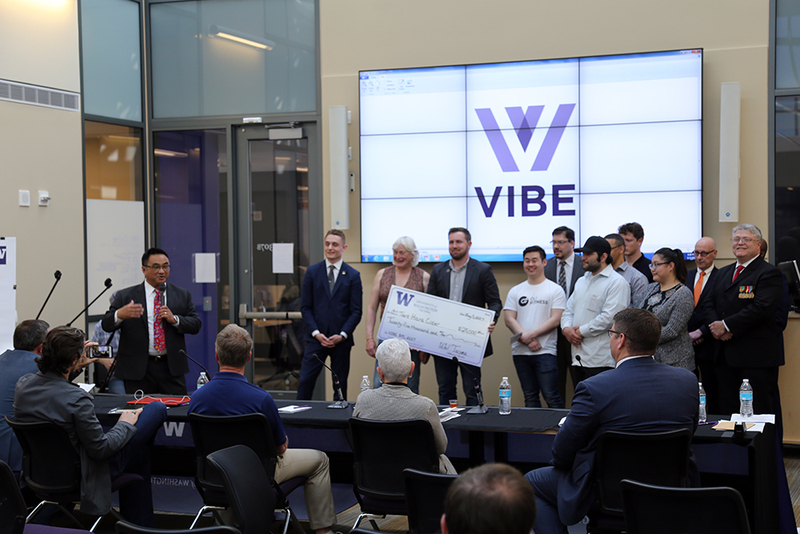 The most recent phase of their joint mission concluded May 3 when VIBE hosted the final round of an inaugural Business Plan Competition. The three hour-long final round saw five finalist teams composed of at least one veteran from the state of Washington pitching business plans to a panel of judges for a first prize of $25,000 in capital and an equivalent amount of in-kind legal, marketing, and mentoring services. Second and third place teams from an initial field of fifteen took home grants of $5,000 and $2,000, respectively. Zoë Van Schyndel, who teaches finance at Evergreen State College and served in the Army, and Nicholas Timm, who is currently serving in the US Air Force reserve and an alumnus of Evergreen State, took first place as co-founders of Tart Hard Cider, an Olympia-based cidery whose product is naturally sweet, but low in sugar. 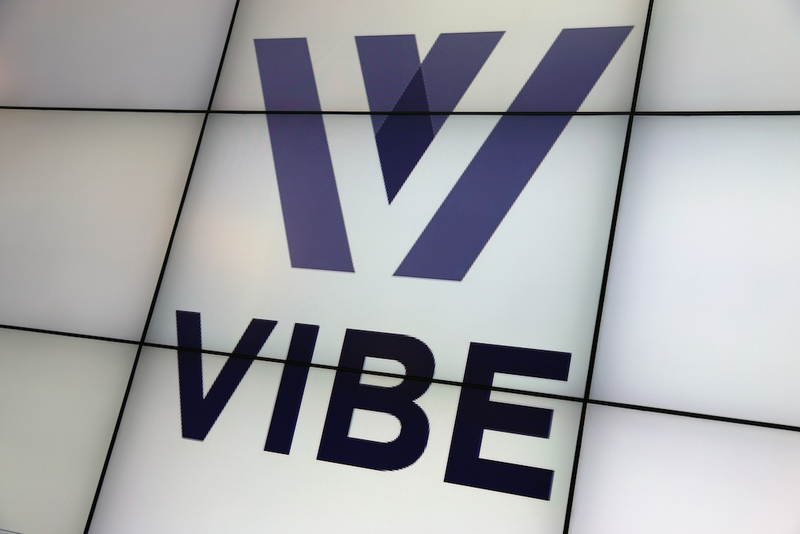 Kuljam, himself a 20-year veteran of the US Air Force, says VIBE’s role is as much about building businesses as it is about creating a culture of entrepreneurial thinking. On any given day, VIBE hosts seminars and sit-downs with successful entrepreneurs from military and non-military backgrounds alike. On Motivational Mondays, they host a former Green Beret medic who teaches resiliency training; Technical Tuesdays shift focus to real-world accounting and technology; on Brown Bag Wednesdays, Kuljam brings in real-world practitioners to talk about business and entrepreneurship; and on Thursdays, the ever-popular Donut Day, time is set aside for one-on-one mentoring. “Momentum creates opportunities,” Kuljam says of the varied slate of daily guests and speakers, who, whether they are veterans or not, are united by the common thread of having known adversity and success in equal measure. 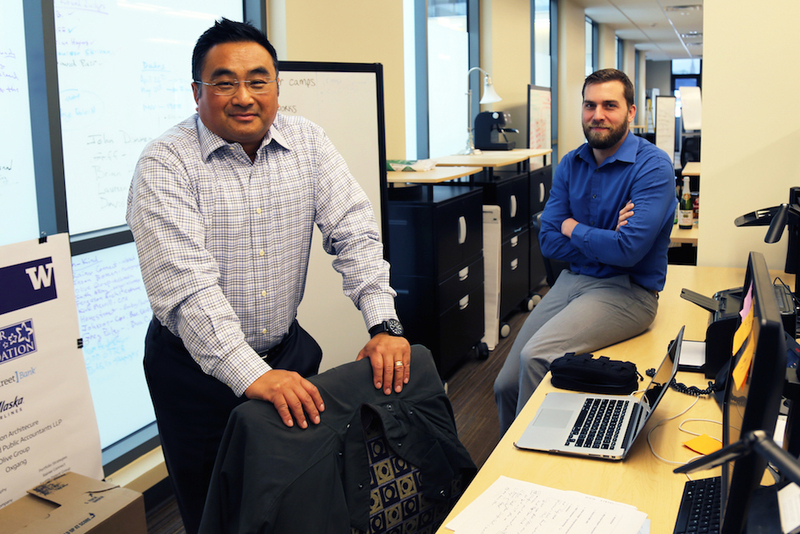 The ultimate goal of VIBE, Kuljam says, is to equip veterans and UW Tacoma students alike with the skills necessary to “create their own economy” and conquer any challenges the future job market might hold. He cites the “gig economy”—a labor market increasingly characterized by the prevalence of short-term contracts or freelance work—and downsizing due to automation as major hurdles ahead. Kuljam hopes that instead of depending on someone else for a job, veterans in the region can leverage VIBE’s resources to cut their own paths and, through that process, lead whole communities forward. Growing up, Thomas Kuljam didn’t want to be poor. He recalls delivering papers on his bike in Spanaway, passing large homes as the roads gave way to more open country. “I always wondered, ‘What does it look like in there?’ That jettisoned me into asking a lot of questions,” he says. At 7-years-old, he had emigrated from Thailand to the U.S. with his mother, brother, and stepfather, a member of the US Air Force who had served in Vietnam. They lived in California, Texas, and Oklahoma before finally settling in Washington. Immediately following high school graduation, he followed in the tradition of his stepfather’s side of the family and enlisted in the US Air Force, serving for 20 years on active duty and in the reserves as a Hydraulics/Pneudraulics Aircraft technician, specializing in the C-130, C-141, and C-17 aircraft. “With my family, this is what you do: join the military, serve 20 or 30 years, then join a post office, work another 20 years, retire and join a country club,” he says. Kuljam considers himself a “black sheep” of the family by bucking the trend and leaving active duty for the reserves. While in the reserves, Kuljam embarked on a 25-year commercial banking career, working at commercial community banks in the Puget Sound Region helping local businesses bring their goals to fruition. Along the way, he started multiple businesses, including an insurance brokerage and business-consulting firm, before officially retiring from the Air Force reserves in 2009. On January 8, 2015 at 10:18 am, Kuljam called it quits on his full-time banking career as well. He says he felt he was ready to forgo the perks afforded by title to focus on leaving a legacy. “I don’t want to live my life as a title, but more of a testimonial,” he says. The Small Business Administration (SBA) asked Kuljam to lecture as part of “The Boots to Business Program,” a two-day seminar developed through Syracuse University aimed at transitioning service members out of the military. He lectured for three years, before his lecture partner, Nick Malden, a former CFO at Gillette, recommended him for the position as director of VIBE. He accepted the position, starting on a six-month contract. Kuljam is quick to sing the praises of city and student alike, but will say little of himself. James Stevens, a student associate at VIBE since November 2016, is a little more forthcoming. For Stevens and others, Kuljam’s is an example of embracing who you are, while understanding the steps and sacrifices it takes to get where you want to be.